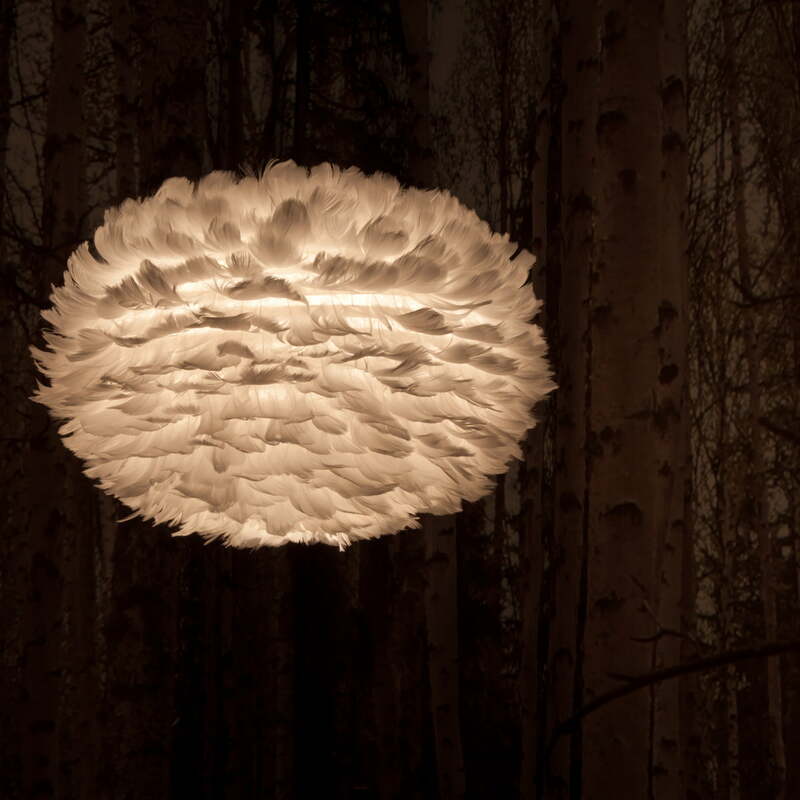 The cream-coloured Eos lamp embodies all the values that the lamp manufacturer Umage stands for: made out of real birds feathers, the small pendant lamp is an emblem for sustainable production. 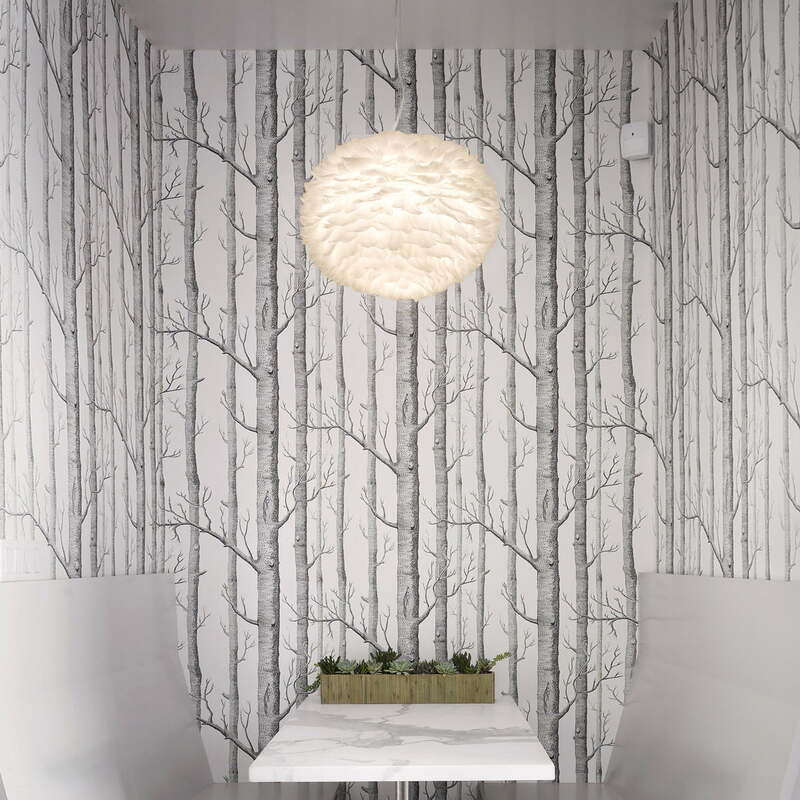 Every feather on the Umage cream Eos pendant lamp is carefully placed by hand. 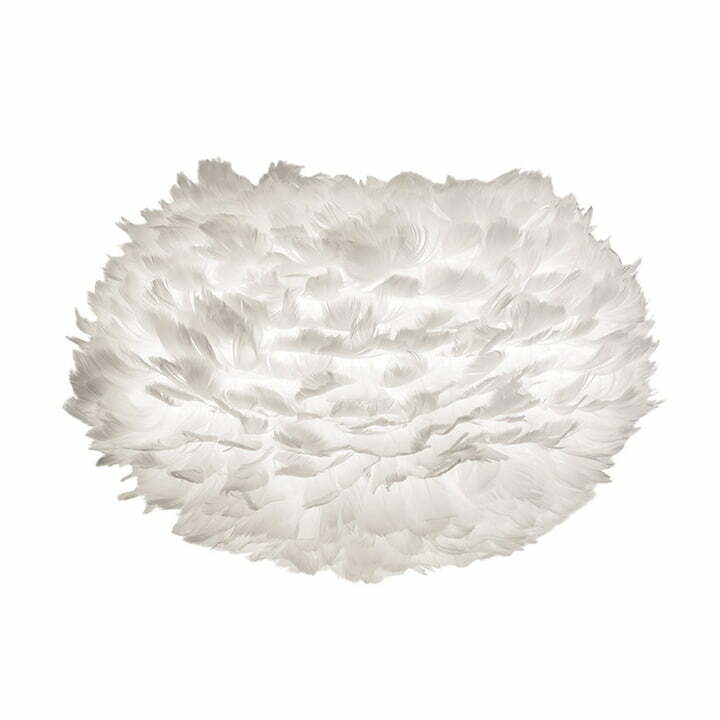 A pleasantly warm, indirect beam shines through the feathers, making Eos ideal for the living room or the bedroom. The cleaning of the Eos is unusual: Umage recommends blowing through the pendant lamp with a hair dryer. 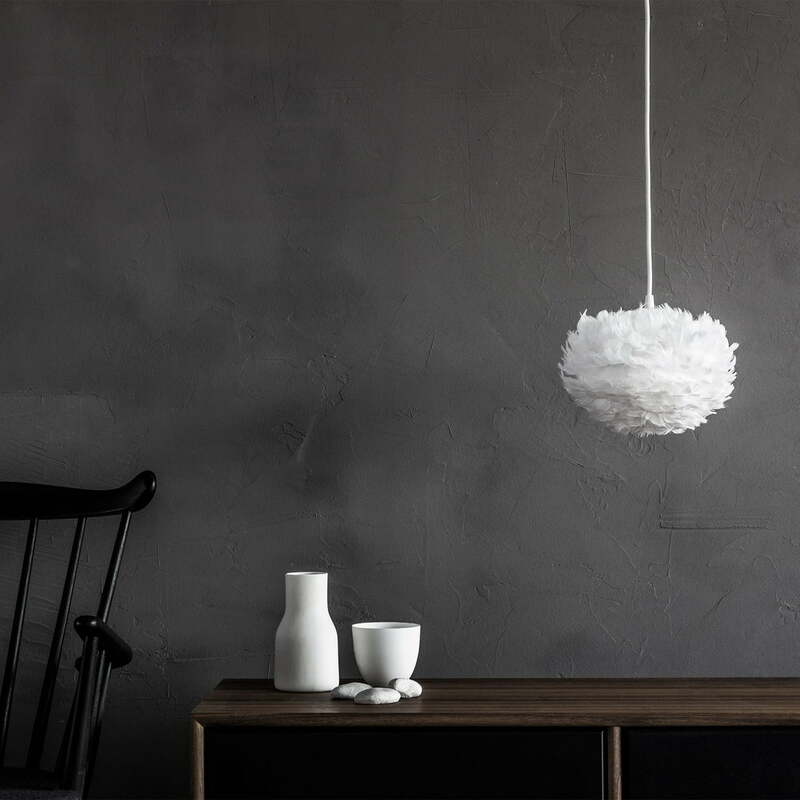 The Umage cream Eos pendant lamp is delivered without a cable, socket or bulb. A cable set with an E27 socket (max. 60 Watt) and a canopy is optionally available. 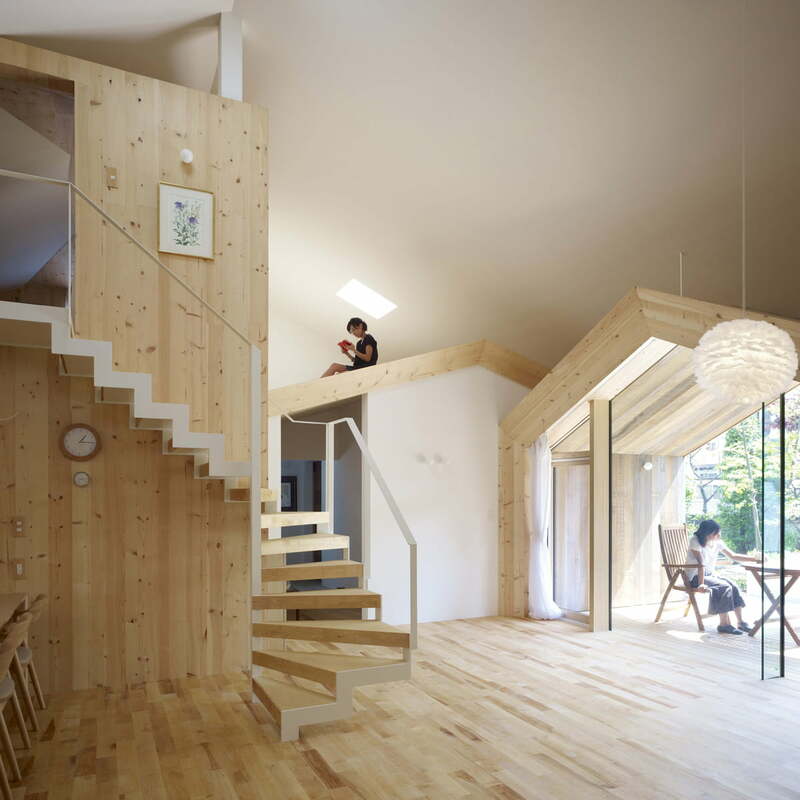 In addition, it is possible to transform the pendant lamp into a table or floor lamp with the matching tripod. The Eos by Umage is also available in other colours. Details delivered in gift box, cable, socket and illuminant aren't included! The Eos lampshade by Umage with real bird feathers in cream provides an enchanting and cosy designer atmosphere and is an absolute eye-catcher in the house. 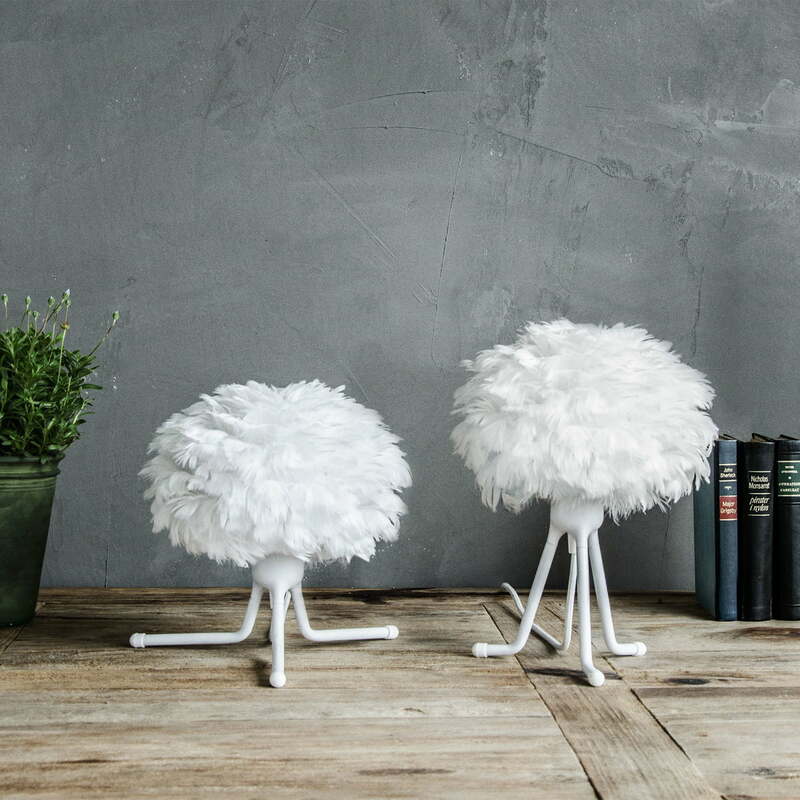 Equipped with bird features in cream, the baldachin EOS by Umage gives any dining room that certain something. 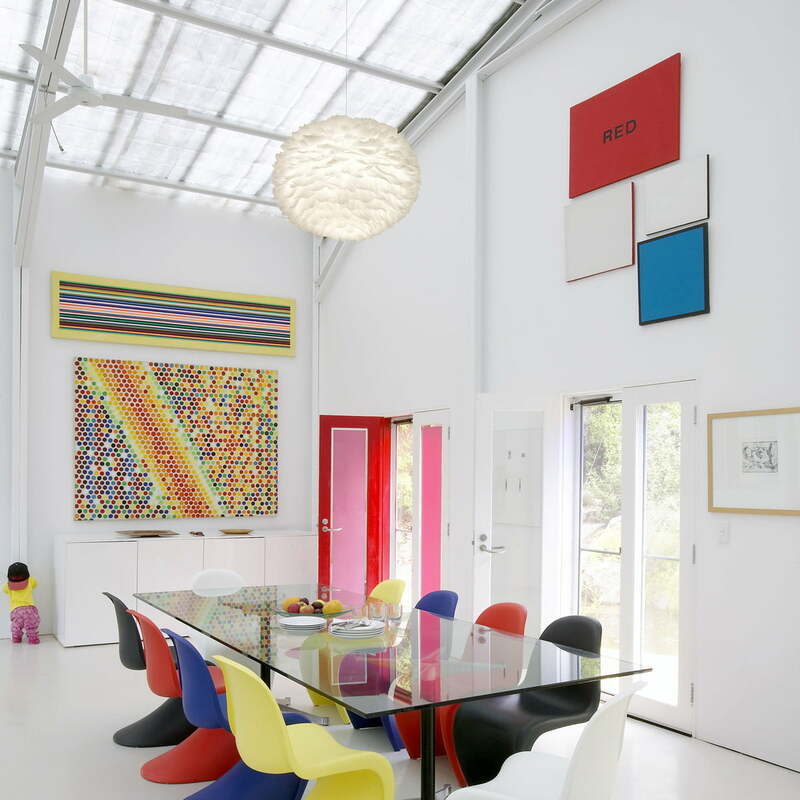 Hung up above the dining table and combined with colourful chairs, the lampshade guarantees a stylish ambience. 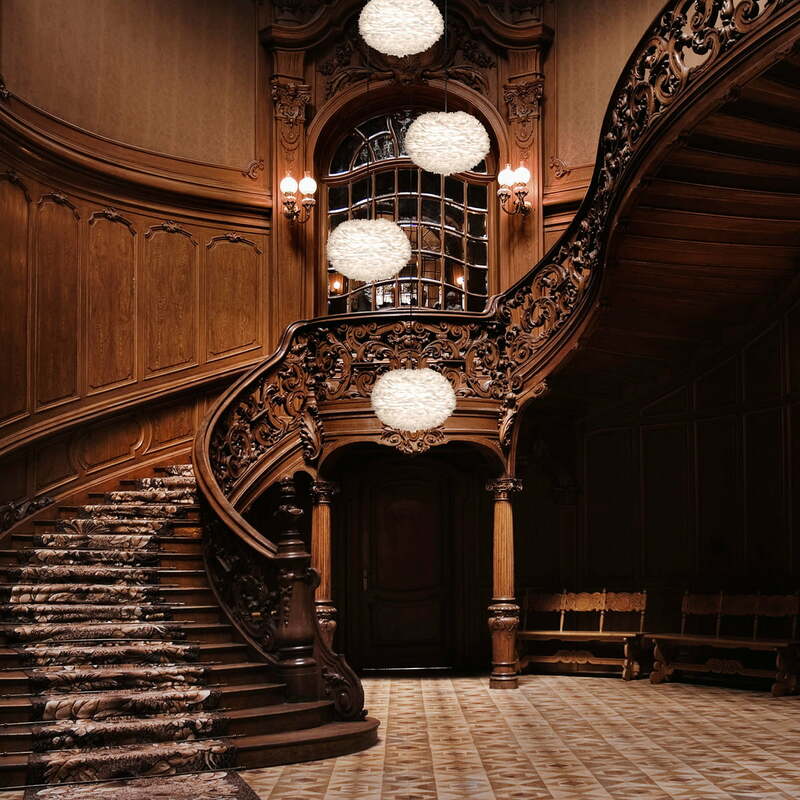 Dark and boring entrance halls are finally passé: arranged in a shapely combination of 4 EOS Large baldachins with bird feathers in cream by Umage, any entrance hall shines in a new design splendor – classy and stylish at the same time. 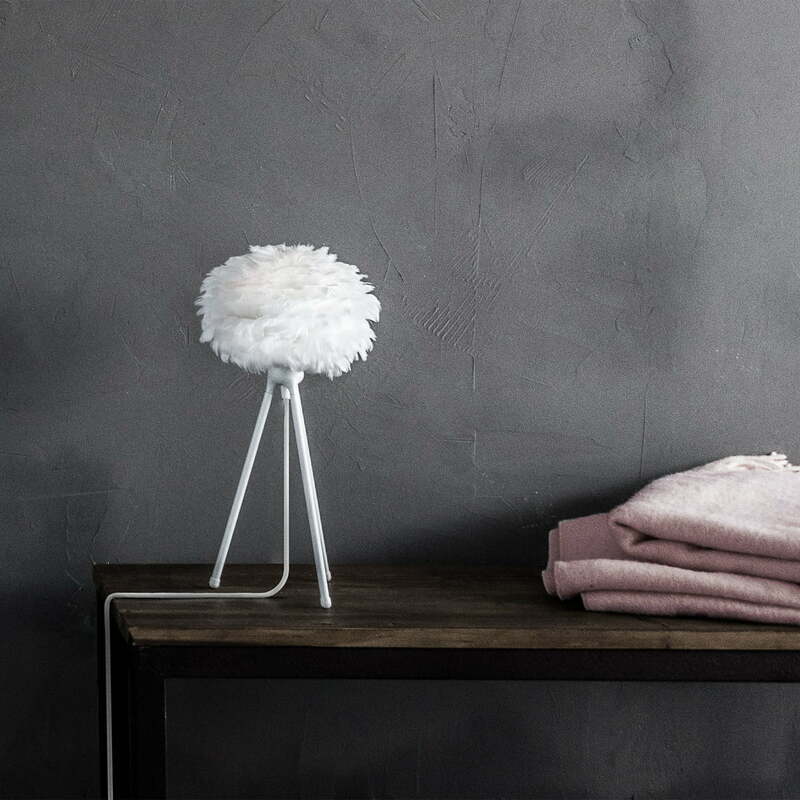 Whether in the living or dining room: the EOS baldachin with bird feathers in cream by Umage lights style-consciously up any ambience based on its pleasant light and design. 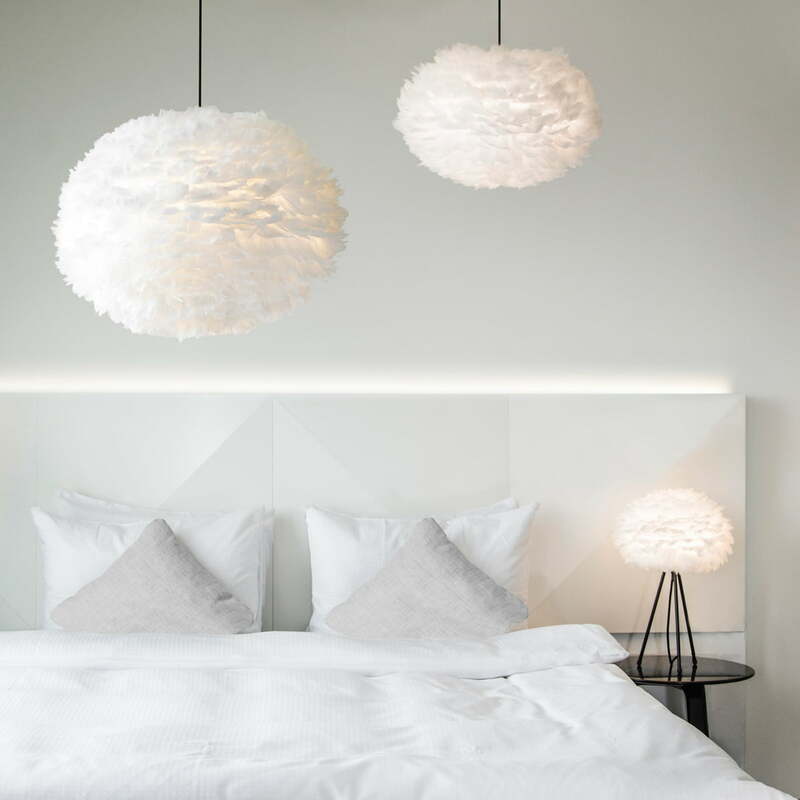 The cosy design ambiance of the beautiful cream EOS lamps by Umage makes any bedroom shine, whether they are installed above the bed with the canopies in XL, L and on the bedside table lamp with the tripod.